External Dimensions H x W x D (mm) 450 x 445 x 390 Projection of electronic lock (30mm) not included. 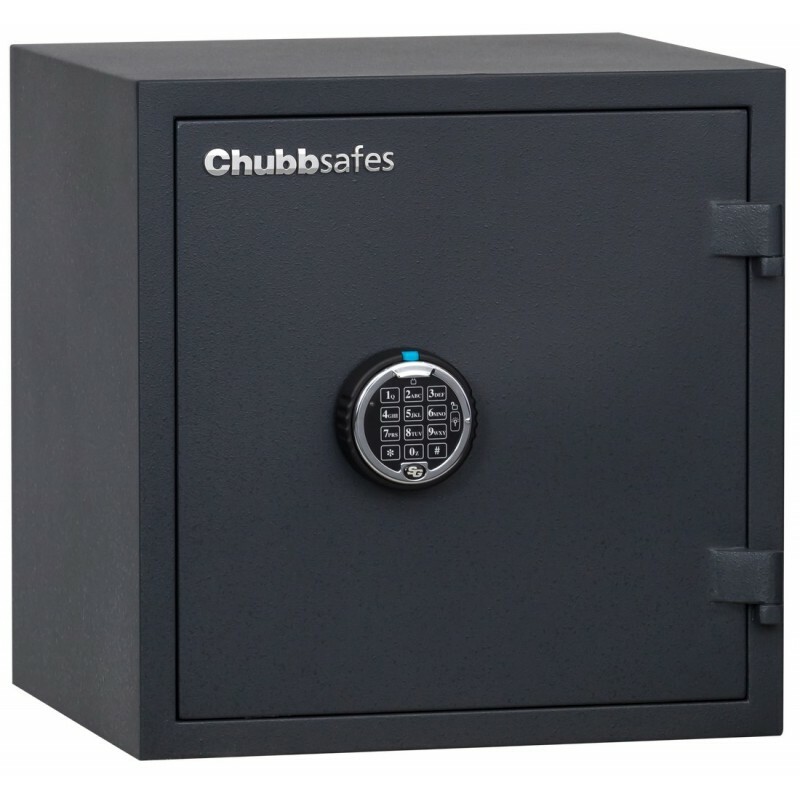 ECB•S certified EN 1300 Class B electronic lock. EN 15659 certified by ECB•S for 30 minutes fire protection for documents. 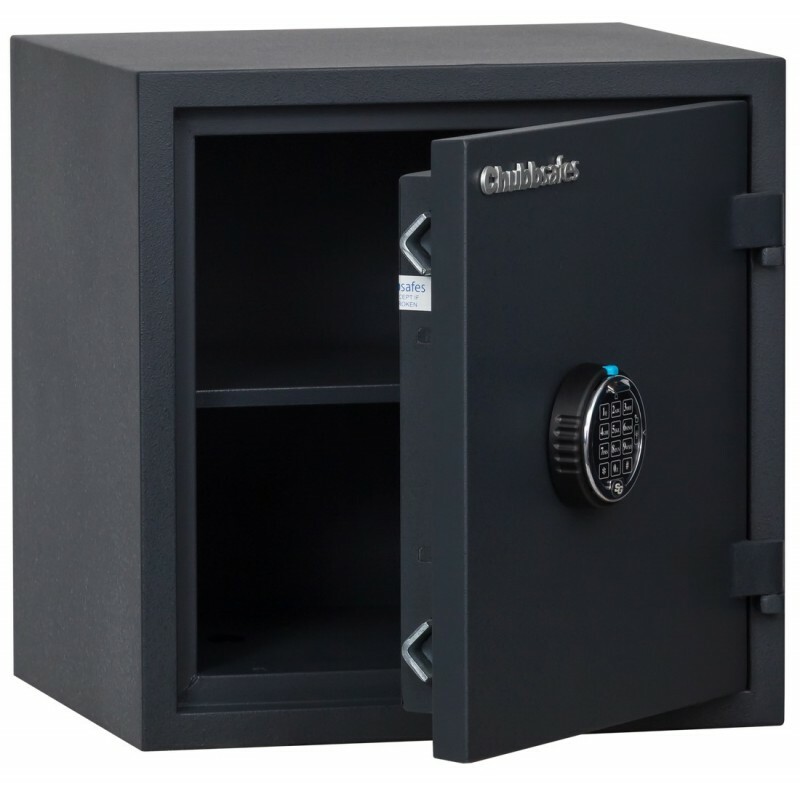 Ideal for protecting cash and valuable items, as well as passports, title deeds and other important documents/data in the home or office. The safe door is secured using the new revolutionary "V" bolt system. The design of the locking bolts helps maintain door integrity when under physical attack and during fires.